By definition, a key fob is a minute device that has programming to give users the security access to their personal property or belongings – such as car, home, or even business. They are considered to be digital keys that can give users the remote accessibility. Key fobs provide convenience because users does not have to use a real key and it offers higher security not usually found in manual/mechanical locks. What are fobs and radio frequency identification? Key fobs are technically operated by built-in Radio Frequency Identification (RFID) system. RFID is responsible for locking and unlocking a device through key fobs. The RFID system utilizes the use of electromagnetic field to identify or locate the stored information that are hold by tags. Tags gives information to the remote devices via radio frequencies. Like a credit card strip, RFID works the same way by providing unique information ot the fob. Fob consists of a reader to fetch information from the tag transmitted by the radio frequencies. Once the information from the fab matches as of the fob, the locking and unlocking function will now commence. The major difference between a credit card and an RFID is that the credit card has to be stable for the scanner to read the information from the tag. However, the RFID does not need to be stationary in order for the data to be transmitted via the frequency. The user only needs to be within the proximity of the RFID device to be able to transmit data. The users just push the button on the remote to trigger the sending of data. The locking configuration initiates with the code embedded on the microchip inside the fob. This chip contains the designated frequency that communicates with the reader. Once the code and the frequency lined up, a door opens. Each fob is carrying a unique frequency; does it is only assigned to one particular door. 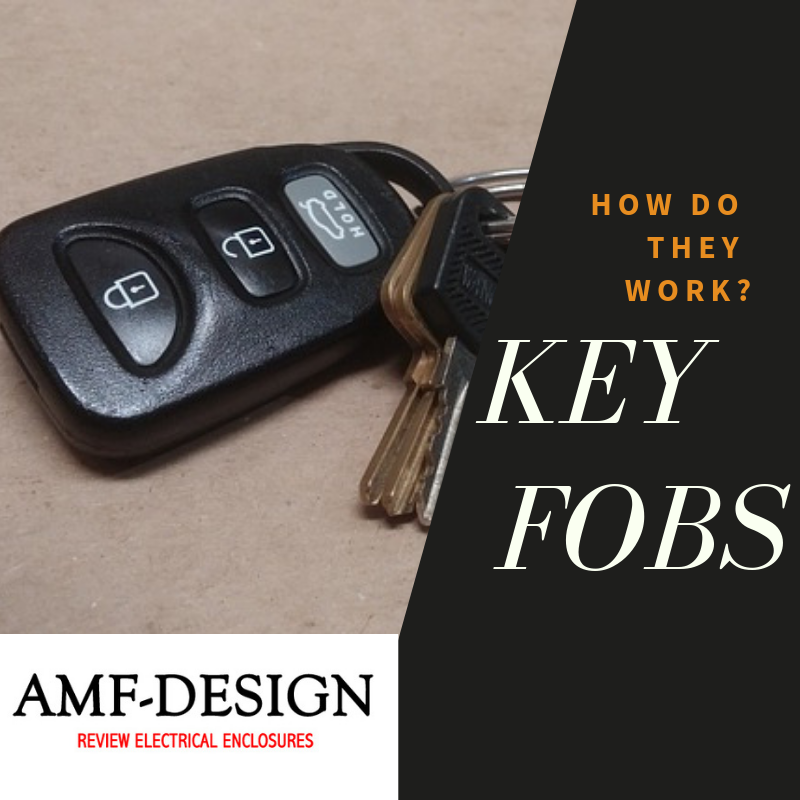 Although a manufacturer can produce multiple key fobs that contains one frequency so that multiple users can open the same door. The receiver (remote reader) reads the information transmitted by the frequency from the key fob. Once the user transmits the information from the key fob to the receiver, the reader has only two output: to receive or decline the information it has received. Once the reader rejects the information, it does nothing. The fob gains its power from the magnetic energy transmitted between the unit and the remote reader. The power is magnetic, that’s why there is no need to power the fob using batter power. With this in mind, manufacturers can make fobs small so that it can fit into key rings or be stored in small cases. However, readers should be bigger in order to accommodate signals that are transmitted from long distances. The frequency of the transmitter is 125kHz. Copyright © Amf-designs.com All rights reserved. | Theme: Elegant Magazine by AF themes.